Approach described here involves Host Header names to host multiple sites from one IP address in IIS server. 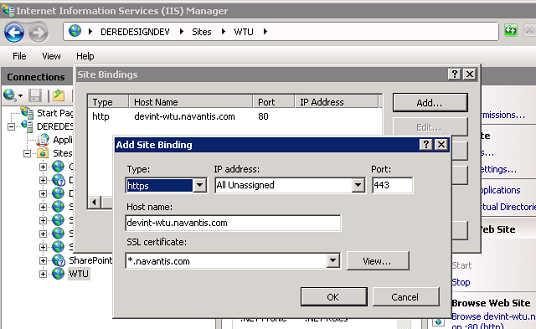 Create a SharePoint web application with the host header devint-wtu.navantis.com in port 80. So the URL for this web application will be http:// devint-wtu.navantis.com. 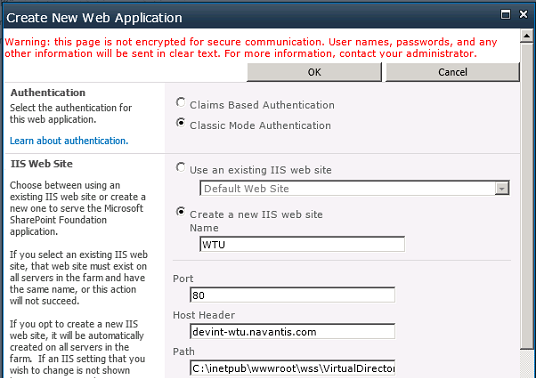 Also I specified a name ‘WTU’ for the IIS web site as shown below. 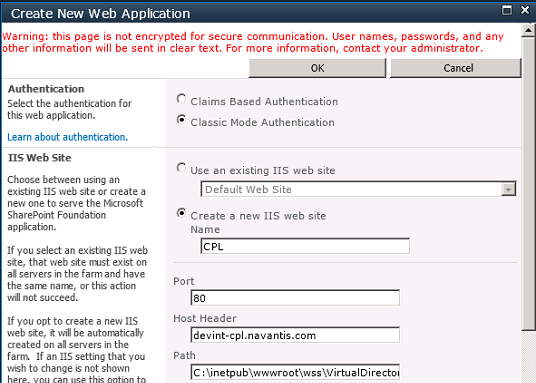 Create another SharePoint web application with the host header devint-cpl.navantis.com in port 80. Then we have to map above web application URLs to the local loopback address. For that we need to update host file (C:\Windows\System32\drivers\etc\hosts) as below. Select the IIS Web site; select Bindings… from the action pane and use Add option to create an https site binding by specifying host name and SSL certificate as below. Repeat the same procedure for each web application. Specify the correct host name of the web application. Go to ‘Application Management’ -> ‘Configure alternate access mappings’ in SharePoint central administration and use ‘Add Internal URLs’ option to create alternate access mappings for each web application. Map the correct https Url as below.